HOUSTON – The Los Angeles Lakers point guard Lonzo Ball left the 138-134 overtime defeat against the Houston Rockets on Saturday night after spraining his left ankle. The Lakers later reported that the X-rays at the ankle were negative] Ball, who had the same ankle at the end of November against the Denver Nuggets, turned after a collision with James Ennis III at 8:39 in the third quarter around. 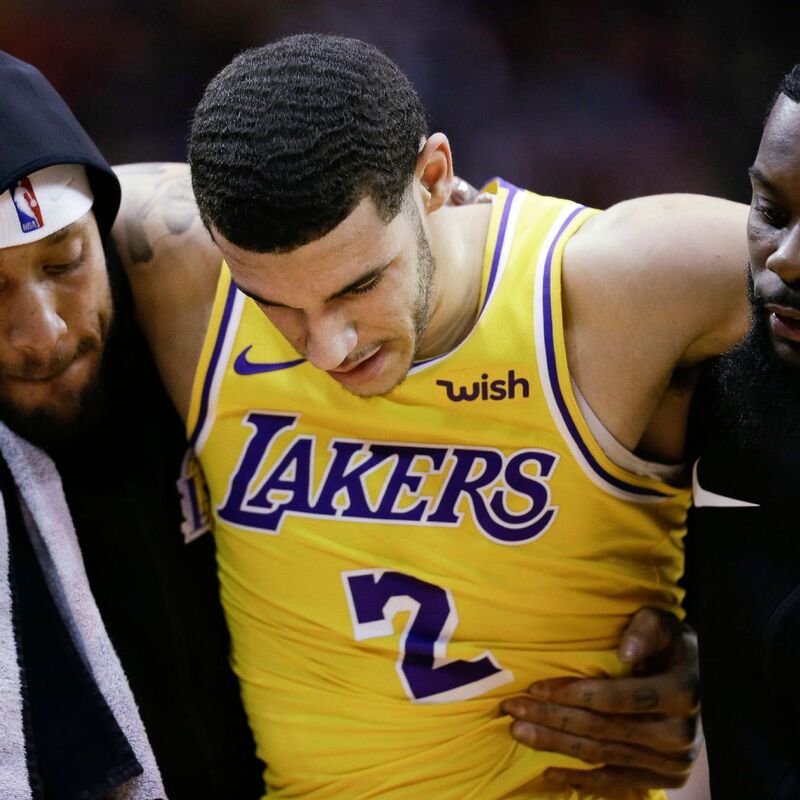 He fell to the ground in pain and had to be carried to the locker room by Lance Stephenson and Michael Beasley during the Lakers' next break. Ball had eight points and eleven assistants' time of injury, with seven of those assists coming in the first quarter when LA went into the lead after a lead of 39-26. The seven assists built his career for assists in a quarter high. Shortly after Ball's injury, when the missiles dropped back from a 21-point deficit to seven, Lakers coach Luke Walton was sent off for two technical fouls. Brian Shaw took over from Walton.